Appliance Repair Experts has a fully stocked parts warehouse that is open to the public for all of their dishwasher parts needs. Our convenient location, located in Las Vegas, has been faithfully serving Las Vegas and the surrounding communities or over 30 years. Our appliance parts warehouse will most likely have the part you need in tock and ready for purchase. 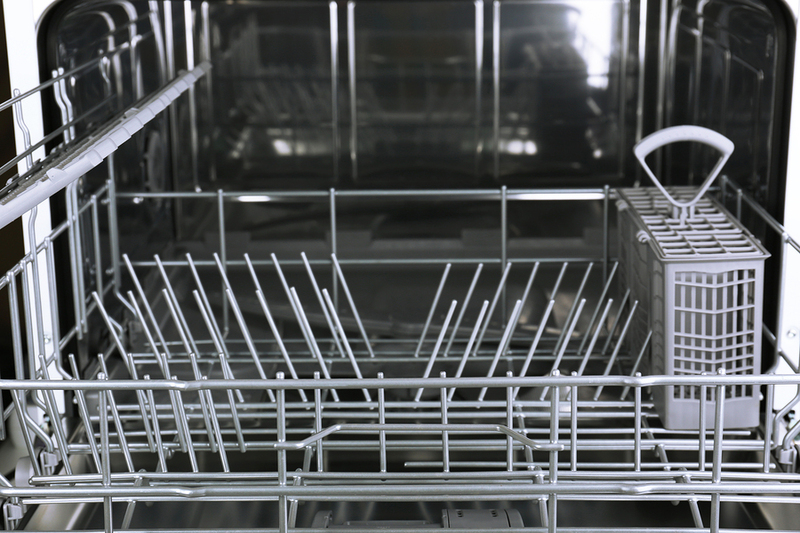 We pride ourselves on maintaining a large inventory of all the most common dishwasher parts, as well as parts for all other major appliances. If by chance we do not have your part in stock, we will gladly find and order the part for you. Appliance Repair Experts can appreciate convenience as much as their clients. In an effort to help our clients, we have established an online parts finder form that can be used at any time of day or night. Simply fill out the form and we will call or email you with the information on the parts you need to complete your repair. We can even make it more convenient by having the parts set aside and waiting for you so your transaction moves quickly when you arrive at our warehouse. If you are not quite sure what you need to make a repair on your appliance, stop by the warehouse and seak to one of our professional staff members. We will gladly discuss what is going on with your appliance, for free of course, show you what parts you need to purchase, and even provide advice on how to install the part yourself. Why do we give so much assistance to DIY projects when we also provide an outstanding service team? Because we know if you are pleased with the treatment you receive in our warehouse, you will call us for service when necessary. Our warehouse, as well as our service team, is available Monday through Saturday from 8:00 a.m. to 5:00 p.m. We encourage you to call or stop by with all of your appliance concerns. We are here to help. Check your user manual for the correct temperature your hot water should be at to use in the machine and adjust your water heater accordingly. Using water that is too hot can actually damage the interior of your dishwasher over time. Rinse your dishwasher with vinegar once a month. Run a cycle using two cup of white vinegar in the machine. The acid in the vinegar will eliminate soap build up and decrease any lime deposits from the water. Soap build up is usually the main reason for dishes not coming out of the dishwasher completely clean. Clean your filter. Food particles can collect in the filter cup at the bottom of your dishwasher. Not only will this prevent the machine from working properly, it will start to smell over time. To save energy when using your dishwasher, eliminate the heat-dry cycle. To be quite honest, most people do not put their dishes away right after they finish washing, so they can naturally dry in the machine without any impact. Additionally, if your machine has a “warm up” cycle to heat the water, you can reduce the amount of time and energy this cycle needs by running your kitchen sink hot water tap for 30 seconds before starting the machine. This will pull hot water into the pipe faster, eliminating long warm up times.